Monday 16th June - Annual Garden Party, 'Paradise Lost'. This year's Paradise Lost affair, was a decadent mix of heavenly entertainment and devilish indulgence. With music from the Harry Morgan Quintet, wonderful food, croquet on the paddock, and of course the necessary Blake bubbly, guests were spoilt for choice when it came to food and entertainment. Having sold a record number of tickets, it's fair to say that a wonderful time was had by all. A perfect celebration to end the academic year! A big thank you to all of the committee for their help in organising the first major event since they were elected. 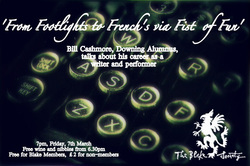 A Downing alumnus who began his impressive acting career in the Cambridge Footlights during his time here, Bill Cashmore is a freelance journalist, writer, public speaker and performer. He has acted in several popular television shows including The Bill and Casualty, as well as the successful BBC comedy Fist of Fun. Bill spoke to us about his experiences within his "portfolio career", including the highs and lows of acting in a very amusing account of all the different jobs he has done - from private detective to travel writer. His interaction with the audience was brilliant and he gave very sound and uplifting advice for soon-to-be graduates, with a pleasing mix of honesty and positivity. His talk ended with some unexpected, but invaluable life advice about how to focus on 'positive beliefs' and how to get rid of negative ones, as Bill's talk provided a brilliant end to Blake's events this term and some definite food for thought as well as hilarious anecdotes. We are really grateful to Bill for coming back to Downing, and sharing with us some of his excellent wisdom! The head of the Cambridge School of Art, Chris Owen, very kindly offered the society a tour of their studios and workshops, as our patron Sir Quentin Blake has connections to the school as he used to study life drawing there when at Downing. Chris showed us a variety of studios, the impressively archaic printing room with an amazing range of type sets, as well as one of their photography dark rooms. The tour showed us the amazing variety of different types of art goes on under one roof, and we went on to see the product of their students work at their MA Children's Book Illustration Graduation Show which was on show in the Ruskin Gallery. Around 65 graduates were presenting their work, a significant proportion of which are already signed up to publishers from around the world, and it was clear why as their drawings and paintings were stunning, with an amazing range of differently styles and funny stories. Pam Smy, the senior lecturer in illustration, gave us a wonderful insight into many of the artists creative processes, putting their work into context which made the show even more special. We hugely appreciated both Chris and Pam giving up their time for The Blake Society, and recommend anyone checks out their Ruskin Gallery shows as it is an amazing space with some excellent up and coming artists filling it. Author and historian Jenifer Glynn came to speak about the subject of her book, 'The Pioneering Garretts: Breaking the Barriers for Women'. The Garretts were six sisters who achieved many remarkable firsts for women seeking education, suffrage and meaningful careers. Jenifer explored the determination of the Garretts and the bond between the sisters, as they overcame some of the barriers holding women back in the 19th century that had a lasting impact on opportunities for women. This included Elizabeth Garrett's difficult journey to become one of the earliest women physicians - she only managed to take her exams in 1856 as the Society of Apothecaries did not specify that females were banned. It was particularly interesting to hear about the sisters' influence on education for women, as Millicent Garrett's drawing room was a key meeting place for supporters of female education here in Cambridge and Millicent herself played an important role in the early planning and founding of Newnham College. Jenifer also included in her presentation a drawing by Sir Quentin Blake of 'The Storming of the Clough Gates', inspired by the debate as to whether women should be allowed to receive their degrees from the Vice Chancellor. The talk was very inspiring, particularly as many of us owe so much to these pioneering women who paved the way for women's rights in Cambridge. 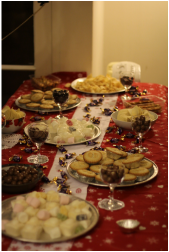 To celebrate the end of term and a very early Christmas, we held a free party for all members, with mulled wine and lots of Christmassy food. There was music, dancing and a very happy creative corner that added to the decorations with a steady output of paper snowflakes. The themes was your best Christmas jumper or knitwear, which there was an excellent prize of a box of fancy chocolate truffles for the winner! It was a really great way to end the year, and a few more postcards were sold for the charity Art Refuge UK that we have been fundraising for. Our second annual charity fundraiser evening saw over 100 pieces of postcard sized art by both students and artists from around Cambridge being sold, raising £381 for the charity Art Refuge UK. They run programmes in the Reception Centres for Tibetan refuges in Nepal and India, helping children and young adults during this transition period by providing a protected time and space in which to play and make art. Art Refuge UK enable the children, who are often emotionally and physically exhausted, to engage in meaningful interactions, thereby helping them to cope by shifting the balance of social, environmental and psychological factors in a positive direction. The charity supplied some original artworks by both tutors and their students, as well as postcards, purses and photo albums that were all on sale. Many people, both Blake members and those outside of the college, attended the event and it was a great evening! Thank you to all those who came and supported the charity! Dr Anne Alexander is part of CRASSH - the Centre for Research in the Arts, Social Studies and Humanities – here in Cambridge. She specialises in work on the digital world, through acting as co-ordinator of the Cambridge Digital Humanities Network that looks at how digital tools affect scholarship in the humanities, and in her work on the role of technology alongside political activism. For her talk with the Blake Society, Dr Alexander focused on the so-called ‘Facebook Revolution’ of the Arab Spring in Egypt. According to Dr Alexander, there never was a simple Facebook revolution, however much social networks like Facebook and Twitter were talked about in Western media. She also discussed how the Egyptian revolution itself has been incomplete and that a counter-revolution is in place and social media are playing a key role in this. It is clear that the uses of new technology to mobilize groups and rapidly convey message are significant but can also turn activism to ‘passivism’ – converting Facebook likes to people on the street is a challenge in itself. At the end of exam term, we hosted the second Blake Society May Week Garden Party on a beautiful summers evening in Downing College. The marquee was decorated with A Midsummer Night's Dream theme, and prizes were awarded for the best dressed. There was also a live saxophone quartet, a large buffet spread, croquet, lounging blankets and sparkling wine. The event was a great success, and a relaxing and fun way to begin May Week. Steven Connor, Professor of English here at Cambridge, and Fellow of Peterhouse College, is a writer, critic and broadcaster for radio, and has written widely on topics ranging from Dickens to Postmodernism. He has meditated a great deal in his writing about the meaning of ordinary and intimate things in our lives and, in this talk, discussed the weird fascination (and phobic horror) of substances like sugar and soap. On Thursday 14th March at 11pm The Blake Society is taking a trip to the ADC to see the Footlights Harry Porter Prize Winner: Cloying. 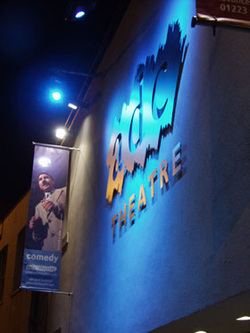 So if you're hanging low from Cindies the night before, staying on another depressing week to start writing your dissertation or have a sense of humour it'll be a great chance to chill out for an hour or so and see something funny. Its only £5 but its likely to sell out so make sure you don't miss out! We'll be leaving Downing at quarter past ten from the porters lodge and heading to the ADC bar. Message or comment on here or email jl633 to let us know you're coming or just find us on the night at the bar! The Blake Society was over the moon with its hour-long MAGIC WORKSHOP with magician Alan Maskell. 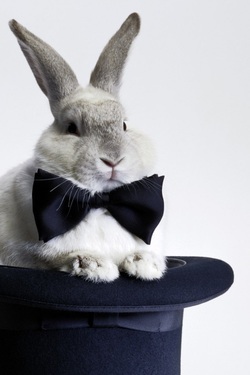 Alan has performed magic in a whole host of locations, from London theatres to close-up at The Dorchester, Cambridge Colleges to village halls, stand-up in Covent Garden to front room children's parties, and has even made the occasional radio and television appearance. Alan also used his magical skills to help launch the Harry Potter books; 'The Order of the Phoenix' in Cambridge, 'The Half Blood Prince' in Peterborough and 'The Deathly Hallows' in Bury St Edmunds. As well as performing, Alan has presented a number of young magician's workshops and gives talks on the history of magic and magicians. Brotherhood of Magicians British Ring Stage Competition with an act composed of his own effects. This won both the Alistair Wand for third place and the trophy for originality. Thursday 29th November: Black Tie and Tinsel Christmas Party! The Downing Drama Society, after a year of hibernation, are getting back on their feet and The Blake Society lent a hand to help organise their first event. In reality they did all the hard work and we got to feel chuffed with ourselves. 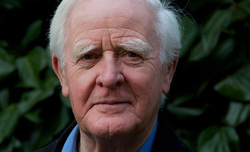 Stephen Bennett is an accomplished scriptwriter, having written for television shows including Coronation Street, Casualty, Emmerdale, The Royal, London's Burning and Holby City. He has also directed and taught at the National Theatre, the Royal Shakespeare Company and the Carnegie-Mellon Drama Conservatory in Pennsylvania. It got booked up so quickly that there are plans to do a second workshop for all those who couldn't make it. 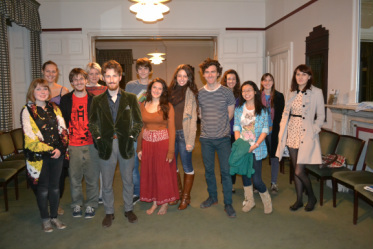 The Downing Blake Society held a talk on Afghan culture by ex-Downing student, Ana Rosa Rodríguez-García. Ana is currently at Downing completing her MPhil in Archaeological Heritage and Museums. She has spent much of the previous decade living and working in Afghanistan in a series of unpaid positions for the Society for the Preservation of Afghanistan's Cultural Heritage (SPACH) and the Afghan Ministry of Information, Culture and Tourism. The talk discussed the need to reconstruct Afghanistan's cultural heritage following decades of war and conflict and a very interesting explanation of the current situation for museums and archaeological sites. We'll be uploading a more detailed review of it in the coming weeks so keep an eye on our blog! 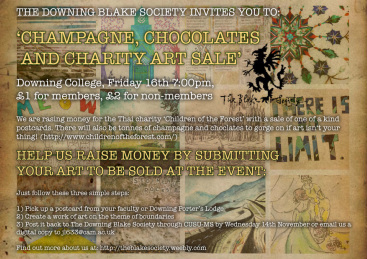 Friday 16th November- Champagne, Chocolate and Charity! Our event, an art sale with champagne and chocolate provided, raised £385! The money goes towards ‘Children of the Forest’, a fantastic Thai foundation providing protection, education and health care for abandoned and abused children living in the Thai/Burmese border zone, Sangkhlaburi. This region is a pretty dangerous place for young people to live at the moment- there’s lots of trafficking, drug abuse, sexually transmitted infection and unwanted pregnancy. The money specifically will go towards buying art supplies for an art programme that helps foster their creativity, communication skills and confidence and keep the kids out of trouble. A great big thank you to everyone who submitted work and to everyone who came along to the event and spent their cash! Friday 26th October - Iain Overton! The Blake Society hosted a talk by documentary maker and Downing College alumnus, Iain Overton, on film-making and working with the media. 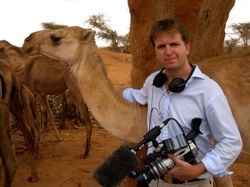 Iain Overton has worked for both the BBC and ITN. His work has taken him around the globe to over 85 countries. 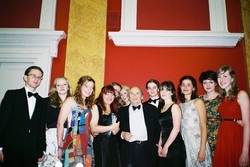 He has won various awards in the course of his career, including a Scottish BAFTA, a Peabody Award as well as a number of awards from Amnesty International. He has also headed the Bureau of Investigative Journalism and has been voted Best Broadcast Journalist by the UK Bar Council. Over the years he has conducted investigations into areas that include counterfeiting in the pharmaceutical industry, UK deaths in custody, corporate killings in Iraq, and Glasgow gang-land murders linked to security contracts. A review of the event can be found on our blog page. 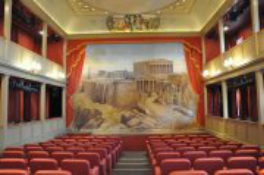 The Downing College Blake Society held a theatre workshop by actor and musician Orlando Seale, whose impressive career spans the big screen, the little screen and the stage. Orlando has toured with the RSC, starred in Tim Burton's 'Sleepy Hollow', appeared in Channel 4's hit comedy 'The IT Crowd', worked in Brazil alongside 'Theatre of the Oppressed' creator Augusto Boal and travelled the UK with his own improvisation and clown troupe, 'Kepow'. 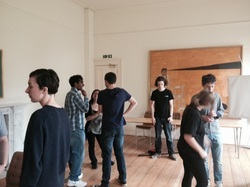 The acting and devising workshop on 'Creating Character' was a whistle stop tour of character techniques such as Laban, mask and Comedia. It was attended by 22 students both Blake and non-Blake members and made for an incredibly inspiring three hours! A full review of the event is on its way! 2012 saw the inaugral Blake Society Mayweek Garden Party, hosted on the sunny lawns of Downing College. Guests were treated to Alice in Wonderland themed afternoon tea, croquet, lounging blankets, beautiful photo opportunities, an acapella performance by Trinity Choir, a live funk band and more than enough sparkling wine for a jolly good time. The event was a great success and hopefully the first of many more to come! Doctor Who legend Terrance Dicks joined us to talk about life as a sci-fi screenwriter. With a BBC television, radio and book career which spans five decades, it was an incredibly valuable event for anyone interested in screenwriting, a career in the media or, indeed, Sontaran, Gallifrey and Tom Baker. It is a biological fact that all of humanity can be categorised thus: those who desperately need to hear Simon Jarvis' beautiful voice, and those waiting for their next fix. Dr. Jarvis' reading from his original collection of poetry was widely attended both by avid fans and new-comers both to his work and to poetry. It was concluded by a question and answer session which continued in the pub. Just what it says on the tin. Unlimited champagne, multiple varieties of chocolate and an excellent three piece jazz band. As always, it was completely free to Blake members. Christmas party with wine, mince pies, Christmas nibbles and music from Downing Jazz Band. As an ethnic Karen refugee from Burma, Zoya Phan was forced to flee her country after her village was attacked by the Burmese Army when she was a teenager. After some time spent in refugee camps in Thailand, she now lives in London and works for the human rights organisation Burma Campaign UK. Zoya gave a highly moving talk and presentation about her personal experiences in Burma and her thoughts on the current situation there. Marcus Tomalin. A fellow in English Literature, Philosophy and Engineering and Senior Tutor at Downing College. Reported to speak nine languages. Research Associate in the Speech Research Group of the University Engineering Department. Ex-gymnast. In his spare time, he casually builds Statistical Language Models for agglutinative languages. And returned, after a critically acclaimed lute recital in Easter term 2011, for our auricular delectation accompanied by lute-themed Renaissance poetry read by Subha Mukherji. Downing Classics Fellow Paul Millet read from his latest work on Aesops' Fables, explaining some of the fascinating and unexpected history behind the well-known tales. The Blake Society is proud to host an annual dinner with its patron, the acclaimed and beloved children's illustrator Quentin Blake. Mr Blake joined us once again in 2011 and generously donated a folio edition of his latest work to the Downing College library. Keep an eye on the website for news of his 2012/13 visit!